JCPenney wanted to spread more generosity this holiday season, and we figured the best way to make it happen was to show how good it feels to give. AdWeek Ad of the Day (and Ad of the Week). My Mother-in-Law's Favorite Ad of 2014 (she wanted more puppies). 330 million media impressions, a 9:1 earned to paid view ratio, and a Twitter video success case study. (That's some straight up media-speak right there). 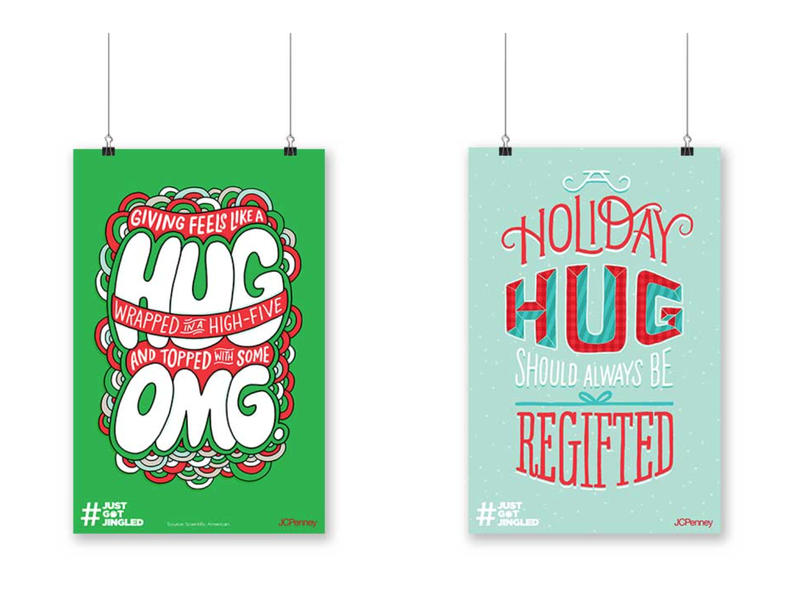 We housed a whole holiday season's worth of fun shareables, giving ideas, and inspiration on the campaign site. And aggregated all the campaign's content with #justgotjingled.